Two heads are better than one in this month’s author spotlight! 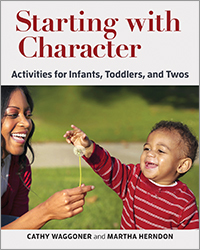 Martha Herndon and Cathy Waggoner, co-authors of Starting with Character: Activities for Infants, Toddlers and Twos took time to chat with us recently about their new book, their careers, and what they have planned for the future. Get to know Martha Herndon . . .
Martha Herndon, known to her friends as Marti, recently retired after 37 years of college teaching. Her most recent position was professor of child and family studies at the University of Tennessee at Martin. Marti began working with the Promethean Foundation in 2004 as a volunteer; her new position as research administrator consists of collecting data and compiling it for the purposes of program evaluation and furthering early childhood education research. Get to know Cathy Waggoner . . .
Cathy Waggoner is the Administrator of a non-profit, Promethean Foundation, since October 2004. The foundation provides scholarships for “at-risk” children to attend high-quality child care agencies from birth to five-years-old. Before the foundation work, she was the director of a non-profit childcare agency for 15 years after teaching in the center for 5 years. She completed a Bachelor’s degree in Physical Education and Health, with a concentration in elementary, in 1973. Later, she returned to college for an elementary education endorsement. Her career has always revolved around young children and families, including time spent as a homebound teacher for teen mothers. Why did you write Starting with Character? Working for Promethean Foundation, we were challenged to develop a character curriculum for very young children, birth to five-years-old. After researching the available resources, we found that there was limited information available on the character development of young children. We believed the early childhood time was critical to character development, therefore, when we could not find available resources, our board of directors instructed us to write our own curriculum. When your bosses say do it, you do it. For seven years we collected information, looked at available research, tested ideas, and wrote plans for teachers to use in the classroom with young children, birth to five. After determining six character traits that we believe are developing during the early years, we looked at how those traits were influenced by relationships and interactions. Teachers were asked to help select and practice activities and routines that could intentionally stimulate character development. We also conducted trainings to guide teachers in understanding their role in teaching positive character traits. Using all of the information we gathered in this process, we realized we had a book and it was something we could share with others needing the same resources. How does Starting with Character help early childhood professionals improve their relationships and interactions with young children? Our book helps professionals realize the importance of intentionally teaching to support the character development in young children starting at birth and continuing throughout a child’s life. It starts by looking at the research concerning the development of character in children. Our children learn first through the relationships and interactions they have with the world around them. It is our job to plan a positive influence, encouraging behaviors that people perceive as good character. 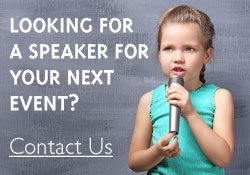 Our activities point out a character connection that can be made while involving children in activities that are developmentally appropriate. How have your previous experiences colored your world? Marti: My parents challenged me to contribute to my college education by working. Those work experiences including being a nanny and a teacher’s assistant at a Montessori school gave me experience with young children which helped me obtain a graduate assistant position to further my education. It turned out that I had enough experience, even with an undergraduate degree in art, to tackle graduate school in child and family studies. The graduate assistant experience provided opportunities to move up the early childhood career lattice in positions of teacher, lead teacher, and assistant director. After graduate school, I was able to direct a program and teach child and family studies at the college level. Twenty-seven years of college teaching later, I was challenged to help figure out this early character development question with my friend and colleague Cathy Waggoner. It is my belief that the years of working with children and families helped me bring both practical and theoretical experience to the past 10 years we have spent developing an early childhood character curriculum. Cathy: After completing a degree in physical education and health, I took the only job I could find, as a 3-year-old teacher, and loved it! Working in a church-sponsored child care program for one year, I eventually gained experiences with other ages. Married and 3 children later, I helped my church develop a new preschool program and took a job there one day a week teaching a movement class for twos, threes, and four-year-olds. The next five years I worked as a classroom teacher, only leaving for a semester to obtain an elementary education endorsement. In addition to working with young children, I took a part-time job working as a homebound teacher with young teen mothers. When I was offered the position of director at the church preschool, I jumped at the chance and stayed in that position fifteen years, until 2004, when I was offered the position of administrator for the Promethean Foundation. My experiences working with young children and families gave insight and practical background leading to a firm belief in the importance of a strong early foundation in positive character. On a typical day, you might find Cathy completing home visits, working in the Promethean office, or making visits to one of the 8 childcare centers that provide care for the children who have Promethean scholarships. Outside of work, she takes care of her Mom, her husband, teaches Sunday school, and sings in the church choir. Marti retired at the end of July 2015 and is carving out new routines after 37 years of grading papers and teaching college classes. 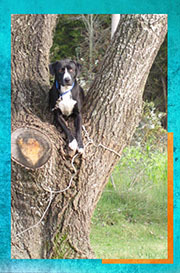 She starts early taking care of her pups…the 12 rescue dogs and various other animals she has (ponies, donkey, mule, turkeys, hens, rabbit, and cats) outdoors. After washing off the mud and dirt, she participates in professional associations and works half-time for the Promethean Foundation as the research coordinator. She enjoys gardening, yoga, reading, and is active in her church. Robert Kirkland and his wife, Jenny, inspired us to write this book. Marti remembers her vice chancellor telling her to “please call this gentleman,” saying he was trying to find someone at the university to help with a new idea he was developing. The gentleman turned out to be Robert Kirkland, retired founder of KIRKLAND’S home décor stores. He visited the early childhood program his grandchildren attended and was impressed with the quality of their education. As a philanthropist, he wanted to provide a similar experience for children in his small rural community. He was emphatic that this program would result in children who were ready for school and of good character. A small group of community members, including Marti, resulted in the development of the Promethean concept and hiring of an administrator, Cathy. Robert’s insistence on the issue of good character challenged Cathy and Marti to stretch their understanding of character development to create developmentally appropriate activities which could be used with children from birth to five years. Marti and Cathy have one common item on our bucket list; complete the longitudinal research for the Promethean Foundation. We began collecting data in 2004 and the project was originally scheduled for 15 years. Due to success of the program, we are now looking at a closing date in 2029 when the information we have collected will be given to the University of Tennessee for continued research. Children who began the program in 2004 will be adults, perhaps with families of their own and the youngest children will be entering kindergarten. We have seen positive results for the at-risk children in our program at this point; and as the participants mature, we hope to see continued success for them in the future. 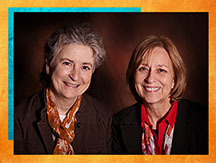 Learn more and see a full list of titles by Martha Herndon and Cathy Waggoner.